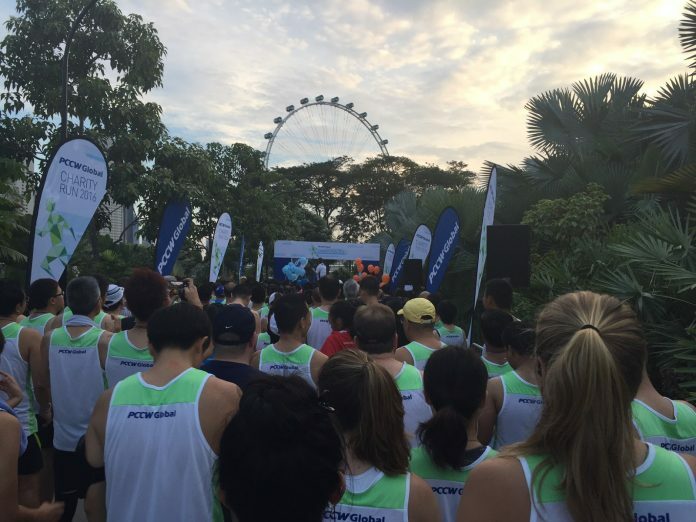 Race Review: PCCW Global Charity Run 2016 [5KM] (by iamspartan6318) | JustRunLah! I wasn’t sure if I was able to make it for this run. 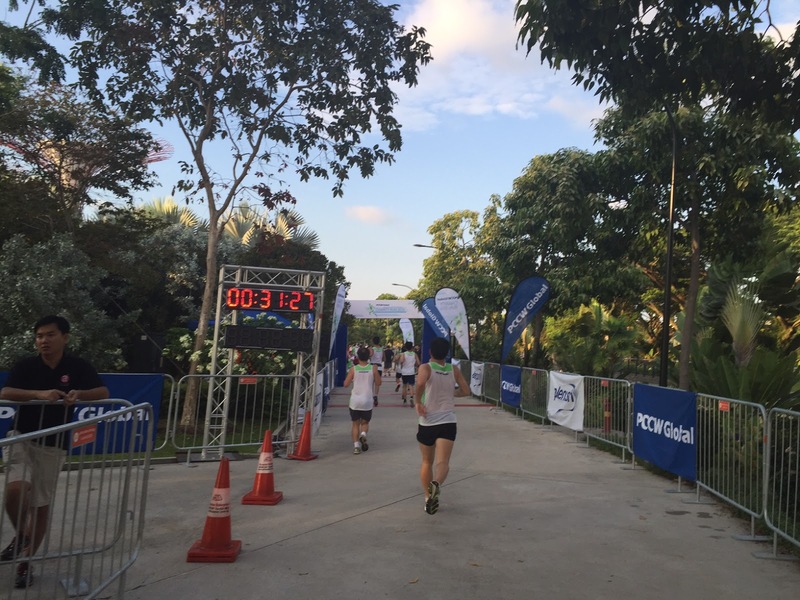 After all, it was only a couple of days after my first half-marathon and this event was happening on a weekday. What’s my motivation for signing up? Well, as explained in my earlier post, this is actually a donation. That means 100% of the amount you paid goes directly to the Singapore Cancer Society and 250% of this is tax deductible. Furthermore, you get a singlet and even a finisher medal and t-shirt after the event. All these at a low price of $30. How not to sign up? 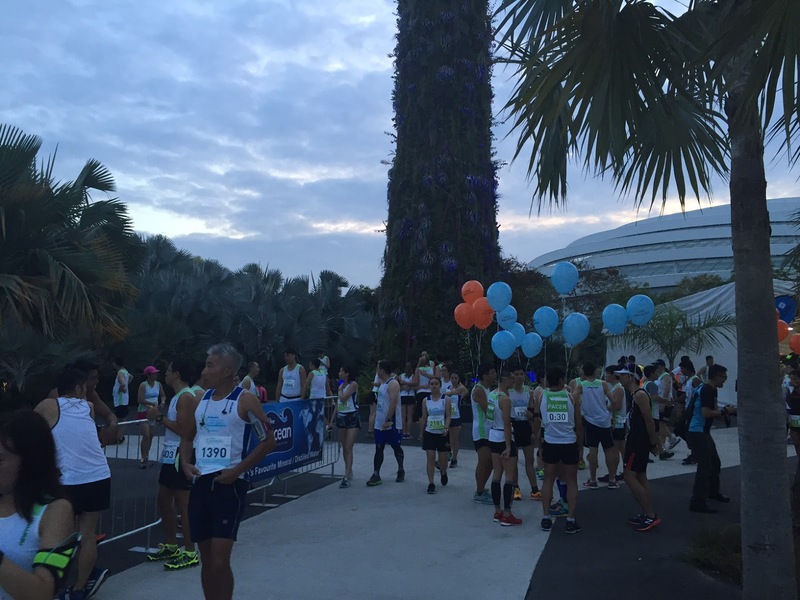 On a side note, should this be called the Singapore Cancer Society run instead? I may be wrong here but here’s what I can deduce how the entire thing works. 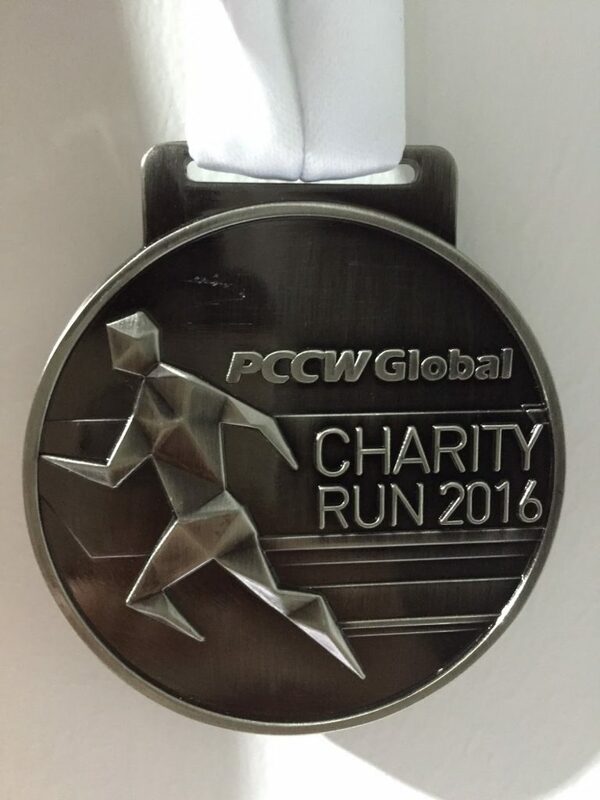 PCCW Global is a company looking to increase their brand awareness. What better way to sponsor an entire event. 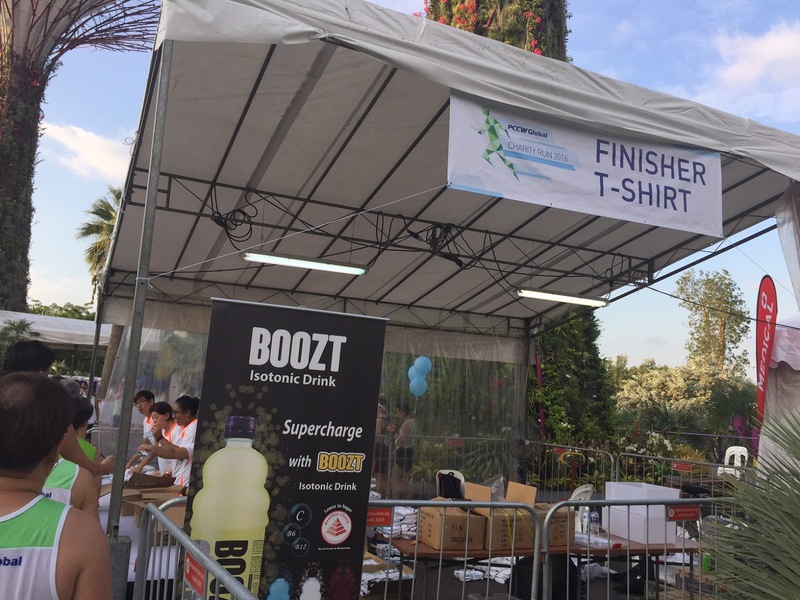 You give the participants apparel which they will continue to wear after the event. You give them medals which they put up on social media. They and their friends may not know about PCCW Global but after today they do now. The charity on the other hand is simply great news to both participants and the beneficiaries. This is a scenario where everyone wins. Hopefully, we get more of these races in the future. I was rather surprised that my leg muscles were no longer sore on Monday morning after my Sundown half-marathon. Am I now at a different fitness level? I think so. I was also pleasantly surprised that my sleep cycle went back to normal fairly quickly. Should I attempt another race at an insane hour? Maybe. But today’s race takes place at a much saner time. 7.15am to be exact. Since it was only a 5km, it is possible to finish it, take a shower and get to work by 9am. On hindsight, I should have informed those guys at the office. Maybe the boss will find this an excellent idea, get everyone down and even sponsor the event! It has been a while since I visited Gardens by the Bay. The location of the start point? Silver garden near the dragonfly lake. Did I spot any dragonflies? Nope, I did spot a giant steel version and some runners though. Pacers With Ballons. If You Had More Ballons, Would You Be Able To Run Faster? 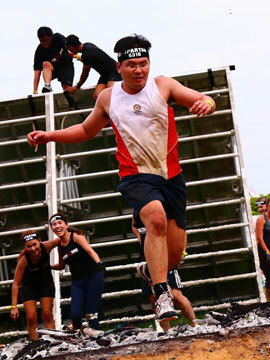 During the wait at the start pen before the flag off, the MC spotted a runner without any shoes on. He was one of those runners who were right up front and raring to go. How do you run without any shoes on? What happens when you accidentally step on a piece of glass along the way? I cannot imagine myself doing that. But the savings of not wearing any socks and shoes? Imagine that I can. 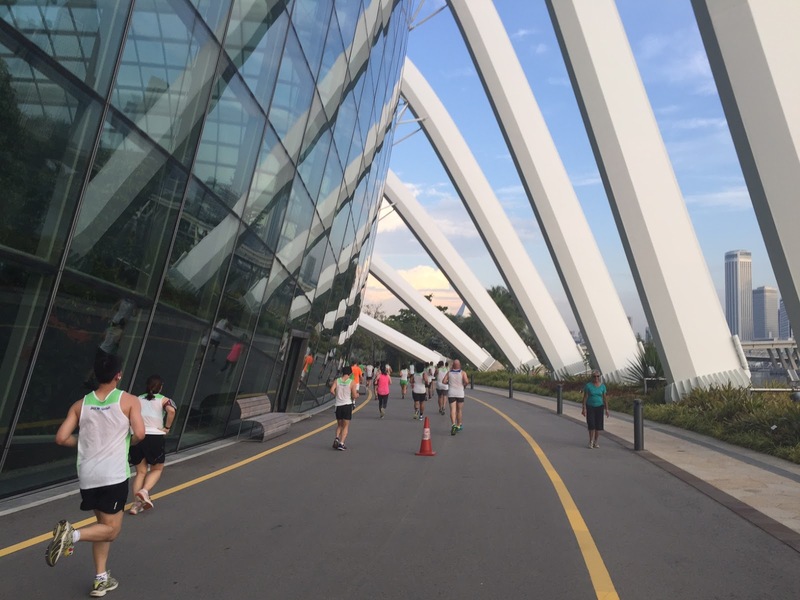 The route for the 5km was scenic and beautiful. It may be a short run, but that run covered everything you need to see in the city centre. 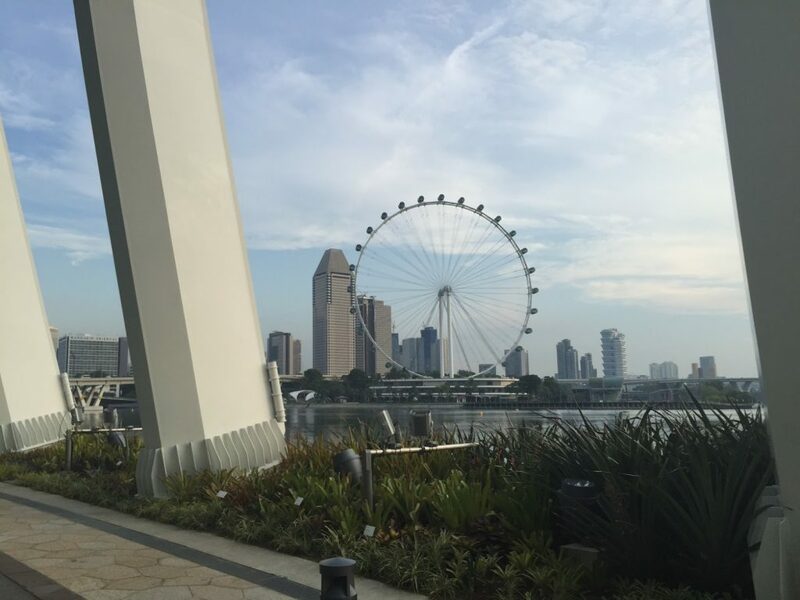 From the silver garden, we made out way pass the flower domes towards Marina Barrage before u-turning back again. After that, it was a straight path towards the city centre. 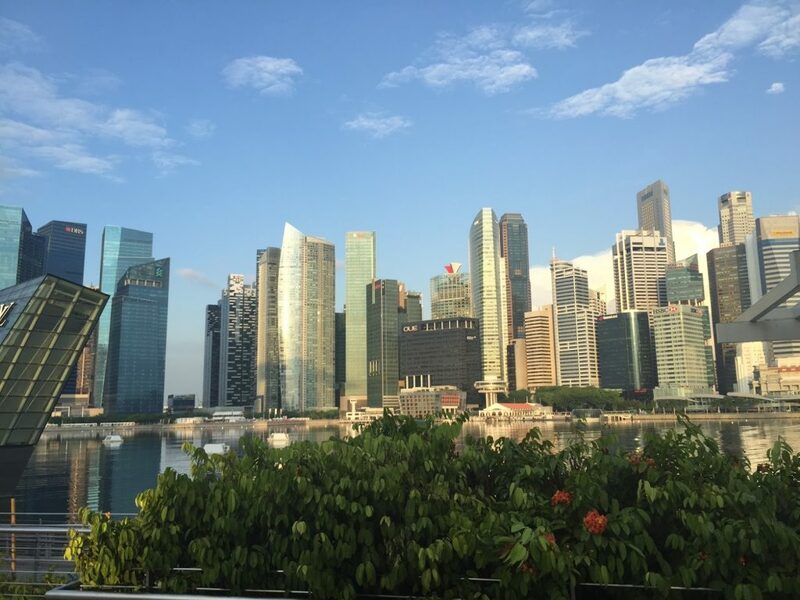 A left turn at the end of the route gave a clear view of the towering skyscrapers that made the city skyline. 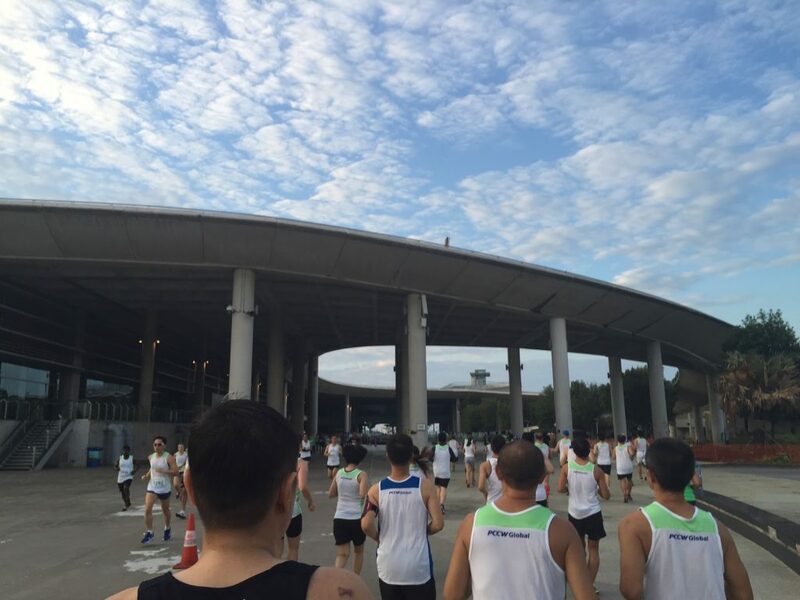 At this time, I did spot other runners that weren’t part of the event doing their morning routine. They were either staying at the apartments nearby or having a quick exercise before their work starts. 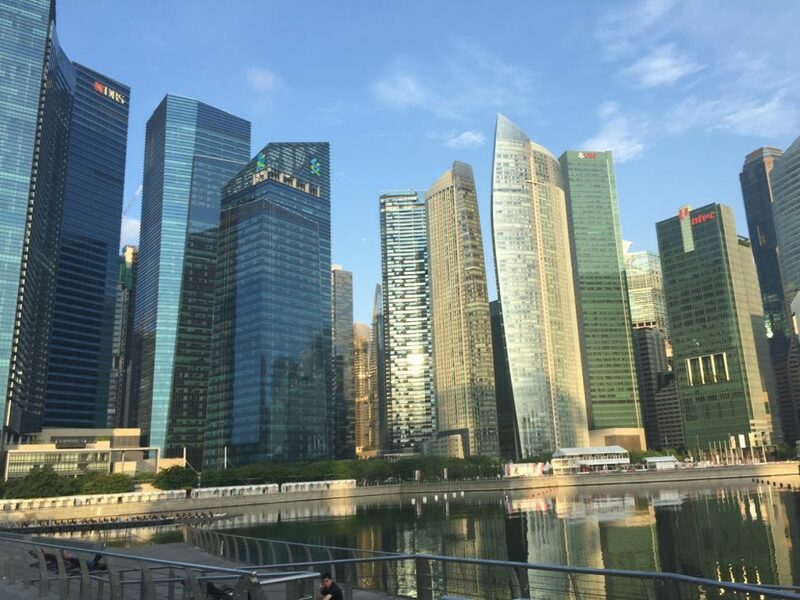 Aren’t we lucky to be living in Singapore? 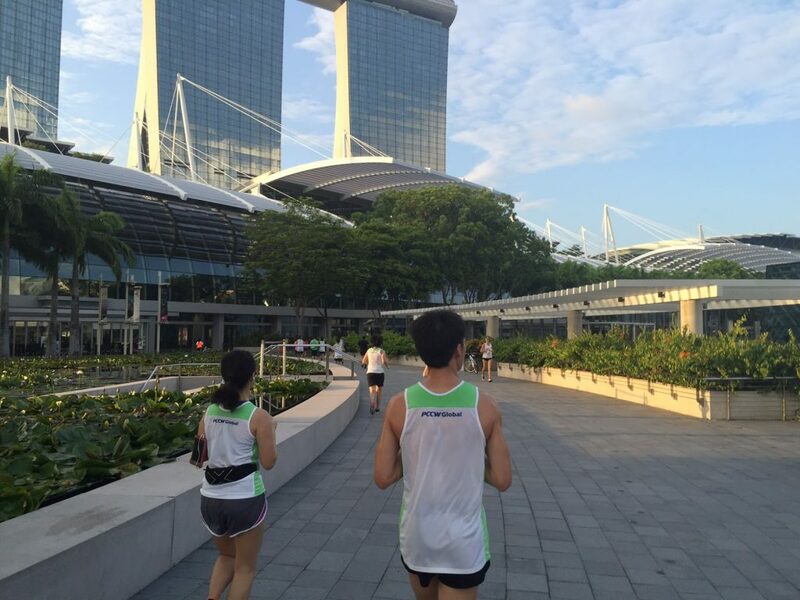 No matter which part of the island you are staying, there’s always a park nearby for you to run or enjoy. Not Going Shopping Today Though. A quick u-turn at the end of Marina Bay Sands brought us back to the original start point. Would I have gone faster if I haven’t taken those photos? Maybe. For me, timing is secondary. My most important goal? 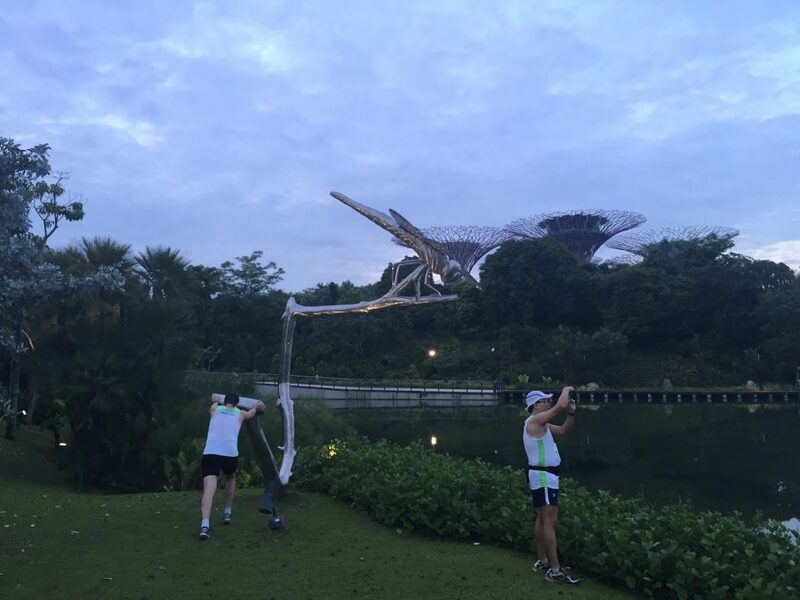 Finish the race without any injuries, enjoy the scenery and hang the brand new shiny medal on my hanger. The medal for this race is very impressive. If you compare this with the rest of my collection, it is by far the heaviest, solid looking piece of awesomeness. You can actually feel the weight if you put it around your neck. Mother of all medals? Very close indeed. You want your branding PCCW Global? You got it.